Lions Park Armadale is a small playground but is a nice little park to visit if you live in the area or are passing by, especially for kids that love to ride their scooter or small bike. 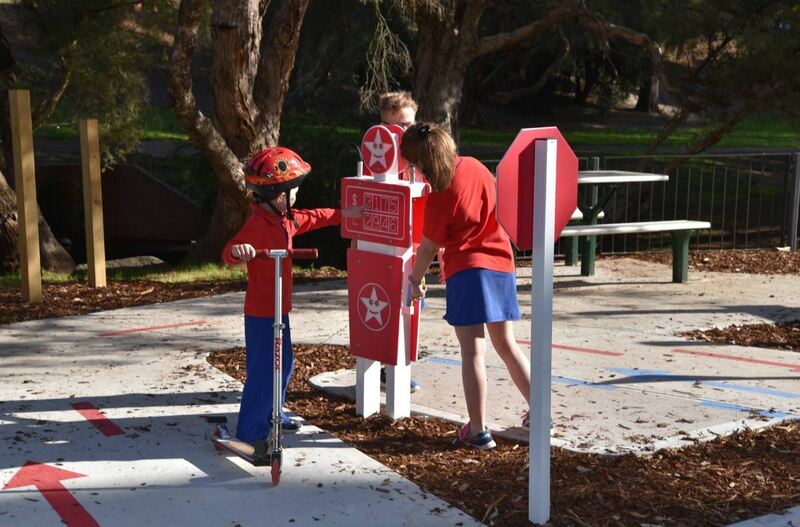 The park predominately features a bikes skills track with red and blue arrows to mark directions, and includes road signs to teach kids some road rules as they ride their way around. 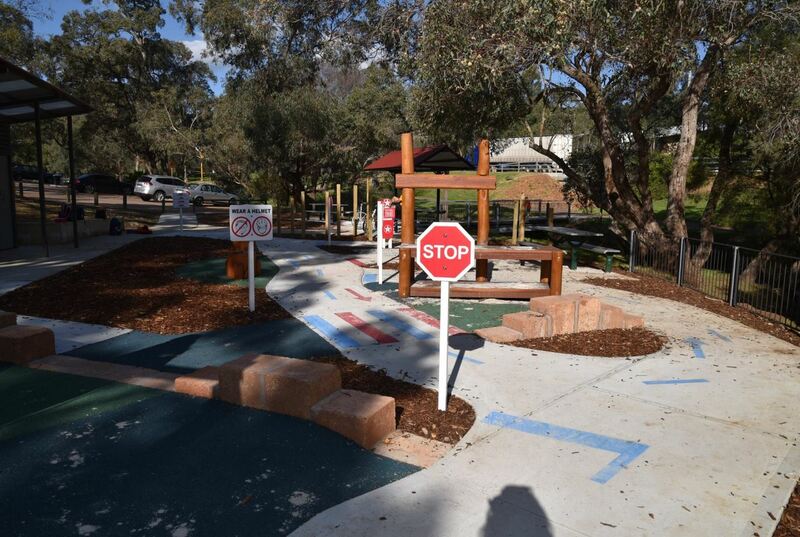 The park wasn't finished when we visited, so thanks to the City of Armadale for these photos. Kids will love filling their bikes and scooters up with "fuel" as they go around and around. 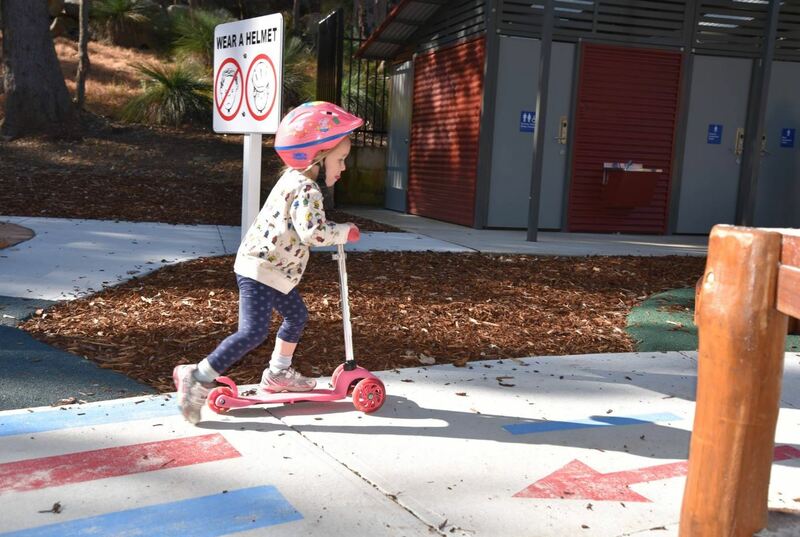 Lions Park Armadale is best suited to younger ones with a mud kitchen, swings (include an all abilities swing), balancing blocks and logs and drums in addition to the cool scooter/bike track. The playground is located alongside a flowing creek, and is party fenced from the creek so close supervision is essential. Excellent toilet facilities that include a baby change table are also located alongside the playground as well as picnic tables and easy access to the carpark. 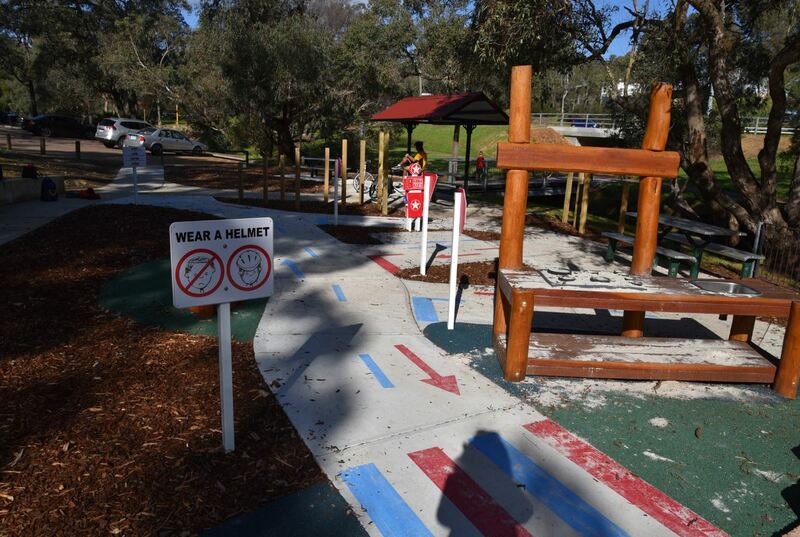 Lions Park Armadale is a small park but if you live nearby or are in the area with scooters or small bikes ready and packed, little ones will enjoy spending time at this park.